Large flat screen and Fabulous Views!! 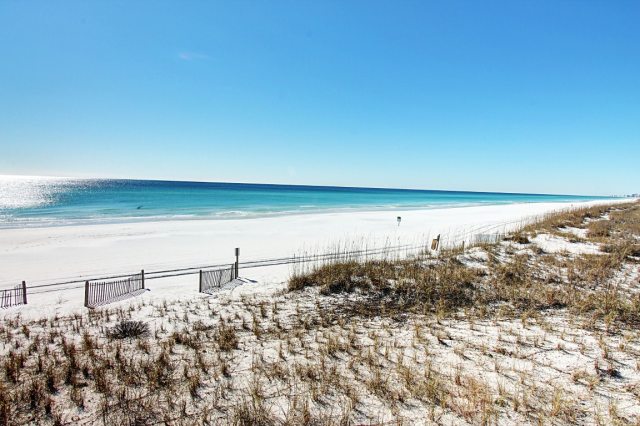 Short Walk to Beach Access from Building 3! Pool (seasonally heated), Tennis Courts, Shuffleboard, Sauna, Gym, BBQ Grills/Picnic Area! 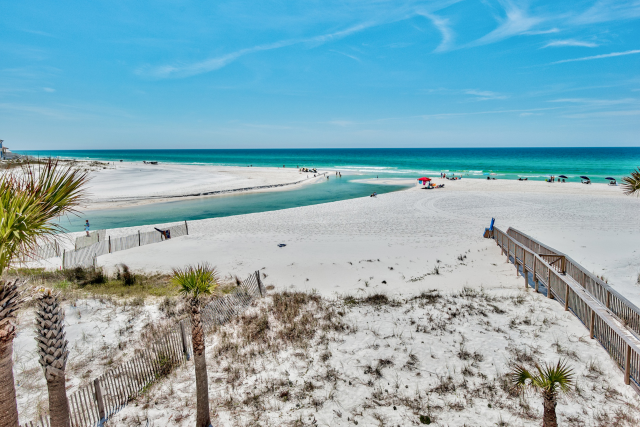 Shoreline Towers 3074 is a two bedroom/two bath condo just footsteps from the sugar white beaches and emerald waters in Destin, Florida. With a queen size bed in the master, two full beds in the guest room, this one sleeps 6 guests! 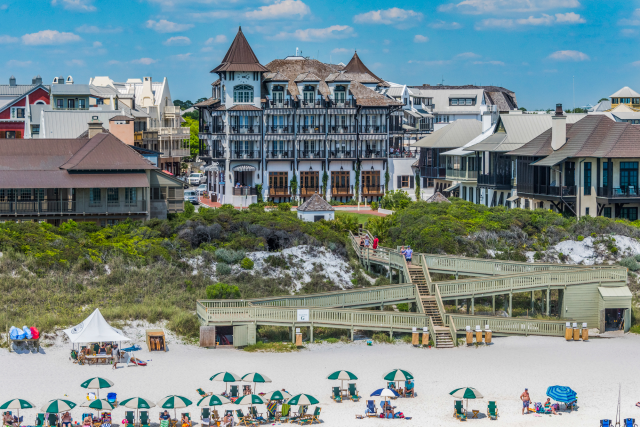 With spectacular beachfront views, spacious living and dining room, and the resort amenities will make you stay wonderful!Head out to the beach, enjoy the sauna, a lap around the pool, a game of tennis or shuffleboard, a barbeque, or a picnic overlooking the lake! *SNOWBIRD / 55+ RENTAL* Snowbird Season is November through February on a monthly basis. The monthly rate for Nov-Jan is $1400 per month + taxes/fees. February only is available at a premium, but Jan & Feb can be reserved together for the standard rate. 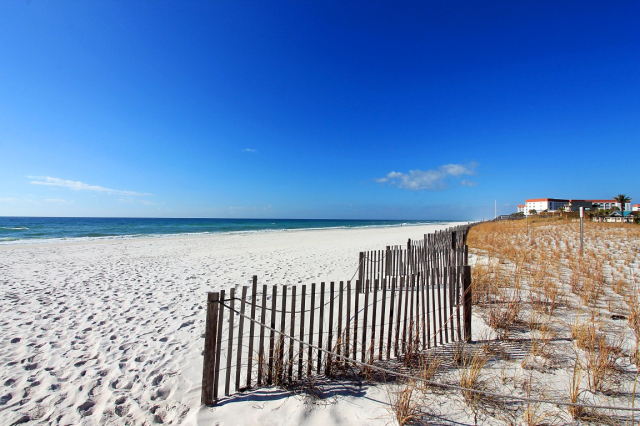 Snowbirds Rentals can be booked online & are subject to an additional $150 cleaning fee. The Fun Pass is not available on monthly rentals. 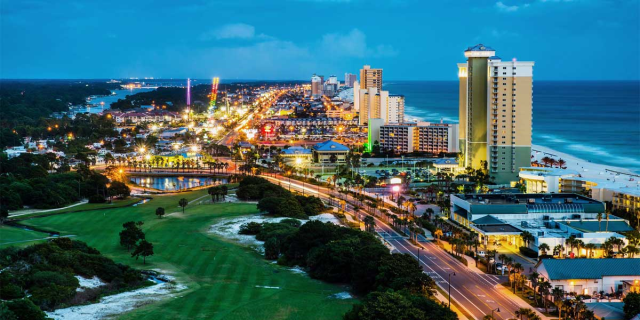 We're within walking distance of shopping and restaurants and only a block or two away from the Big Kahuna's, Destin's fun waterpark. Walk only 300 feet to the beach. No streets to cross to get to the private beach or the heated pool. 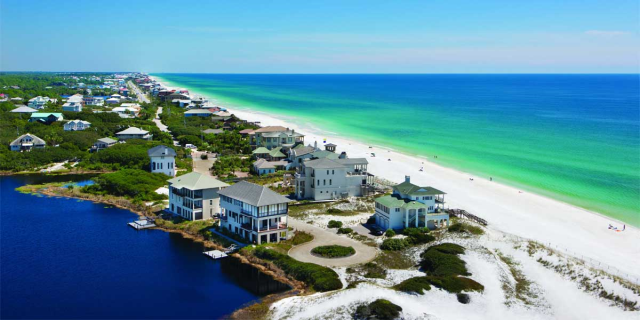 From this lovely complex, you'll experience the sights and sounds of the ocean, watch a sunrise or sunset over the water or the sail boats and fishing boats go by. 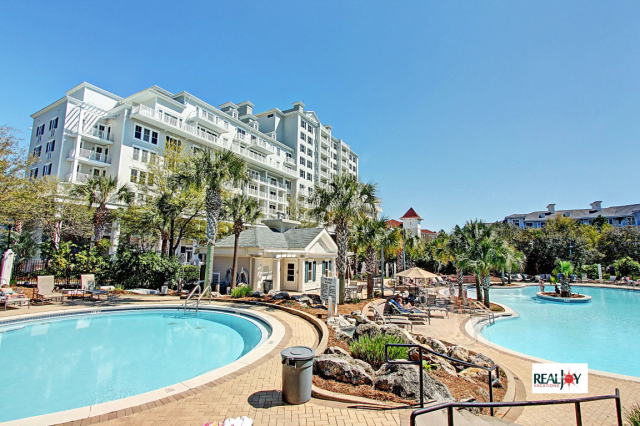 Close by is Destin Commons, a beautifully landscaped, pedestrian-friendly area and a great family venue where children will love to play in the interactive water fountains. Also for the younger guests, a nautically/pirate themed outdoor playground features a 1,750-square foot soft play area with various creatures from the sea, slides, and a treasure chest! Destin Commons also has a mini-train for the kids. 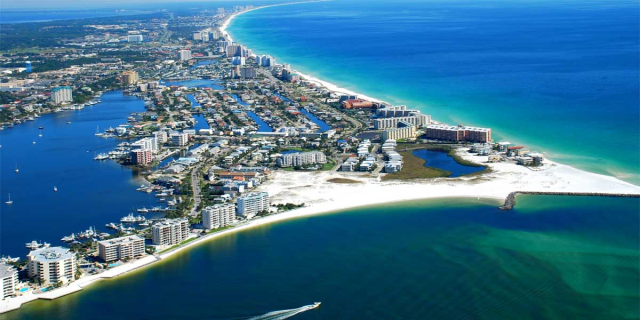 Destin Commons features over 75 shops and restaurants, including Godiva Chocolates, AMC Movie Theaters and Bass Pro Shop.